Please tell me more about your blog? 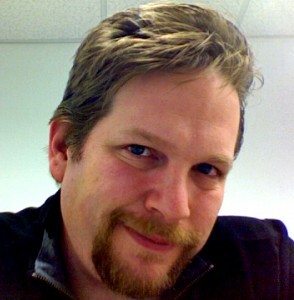 My blog (www.chrisbrogan.com/) is where I share my thoughts about how people can connect and communicate using social tools and other emerging technology. Others think I write about marketing and PR, but that’s like saying that telephones are only about telemarketing. What is your driving passion in blogging at the moment? My passion is to help people become human artists, to find value in how these tools allow us to be human at a distance, and to be better humans overall. If you squint, you’ll notice that. Which conversations would you like to be more involved in? I work with large companies to learn to be human again in their online interactions. I welcome more of that. It’s a thrill to talk to people about their communications and interaction methods. What is driving you nuts at the moment? I’m frustrated by what all the automation tools and get rich quick schemes are doing to Twitter. I will move off some time soon ,given the way things are going. Who’s blogs are you enjoying reading at the moment? mostly prefer email or Twitter. Facebook mail isn’t helpful to me. What is one thing people can do to help you?